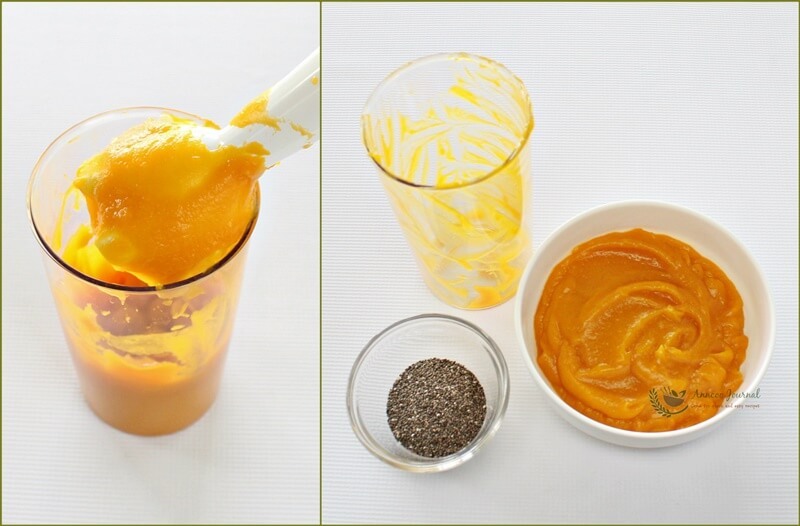 I love pumpkin as it is not only sweet and healthy, it is also a very versatile ingredient in the kitchen. You can use pumpkin for baking, cooking, steaming as well as for making dessert. Since the October theme for Little Thumbs Up is Pumpkin, I’m really happy to find an excuse to try more pumpkin recipes to support my friend and the host, Eileen of Eileenの记事本. 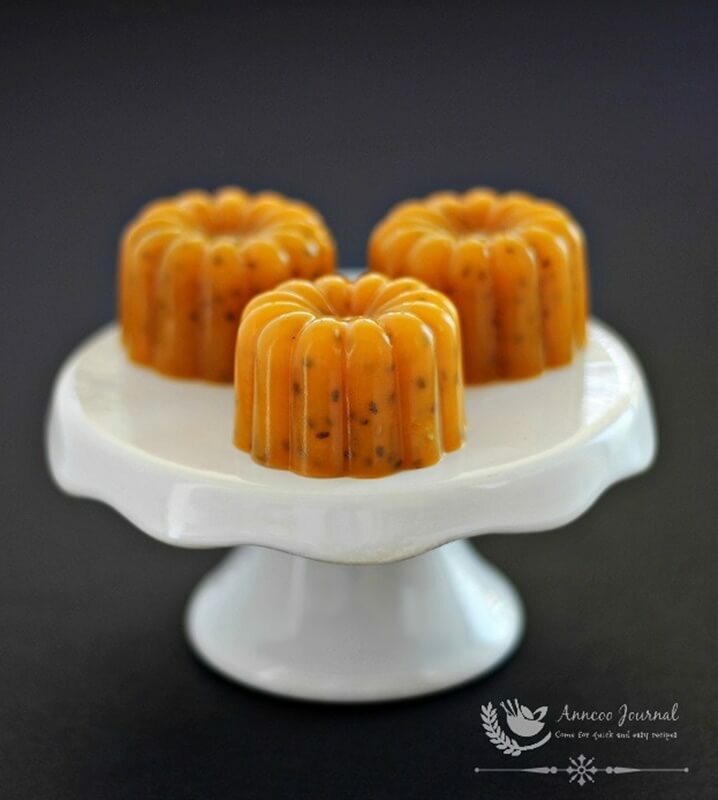 As the weather is very hazy and hot lately, I made this healthy Pumpkin Jelly with chia seeds to beat the heat. This pumpkin is very easy to make and I like that by adding honey instead of sugar, the pumpkin tasted like sweet potatoes. If you love pumpkin, this cool dessert is definitely for you. Clean pumpkin and deseed. Cut to wedges and steam pumpkin with skin on for about 15 minutes or till pumpkin becomes soft. Remove pumpkin flesh from skin with a spoon. Then hand puree pumpkin with ⅓ cup of water to smooth. Add 500ml water into a pot with agar agar powder. Boil at medium heat and stir with a hand whisk. Add honey, lemon juice and black chia seeds and continue to stir for about 1 minute. Pour pumpkin puree into honey liquid and keep stirring for another 2 minutes and off heat. Pour pumpkin mixture into desire mould and chill for at least 2 hours before serving. May I know how many tablespoon of sugar to replace honey for the Pumpkin Jelly? And can I make it in 1 square tray n cut it into diamond shapes? You need to add 160 – 180g of sugar or to taste for 1000ml of water. Sure you can change the mould to a square tray if you prefer. This is one good dessert that I'll like to have right now! Ann, I love pumpkins too! 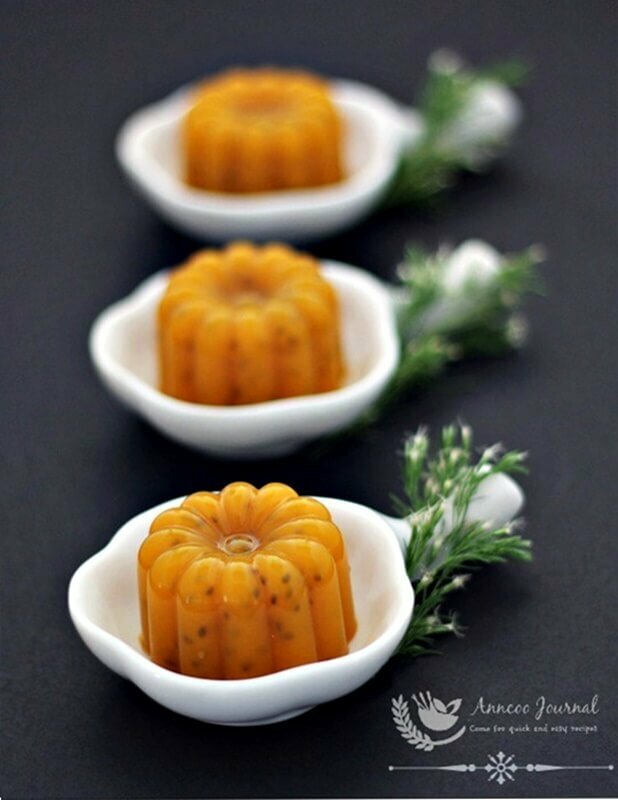 And your Pumpkin Jelly is so pretty! very curious about the taste. Hi Ann, I need some jellies since the weather is so hot… I like adding in chia seeds, yum. A very nourishing dessert. Haven't made jelly for a long, long time. This is a very refreshing dessert..Tks for sharing. What a simple yet beautiful snack! Excellent! 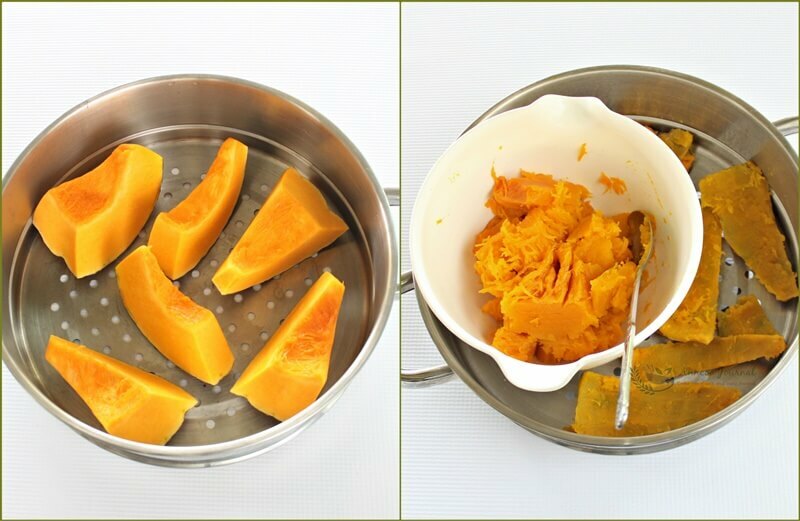 Hi Ann, I've used pumpkin to make hot dessert but never thought of using it to make jelly. Oh yes, definitely very refreshing to enjoy these cold pumpkin jelly ^-^! 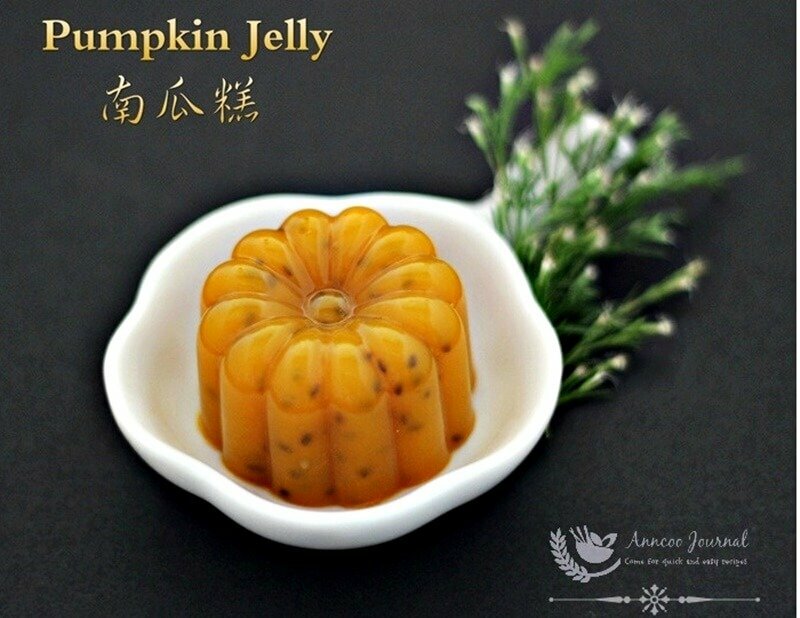 Your pumpkin jelly looks so inviting! I love pumpkin very much too. Hi Ann, never thought of using pumpkin in agar-agar. Yours with chia seeds looks good.